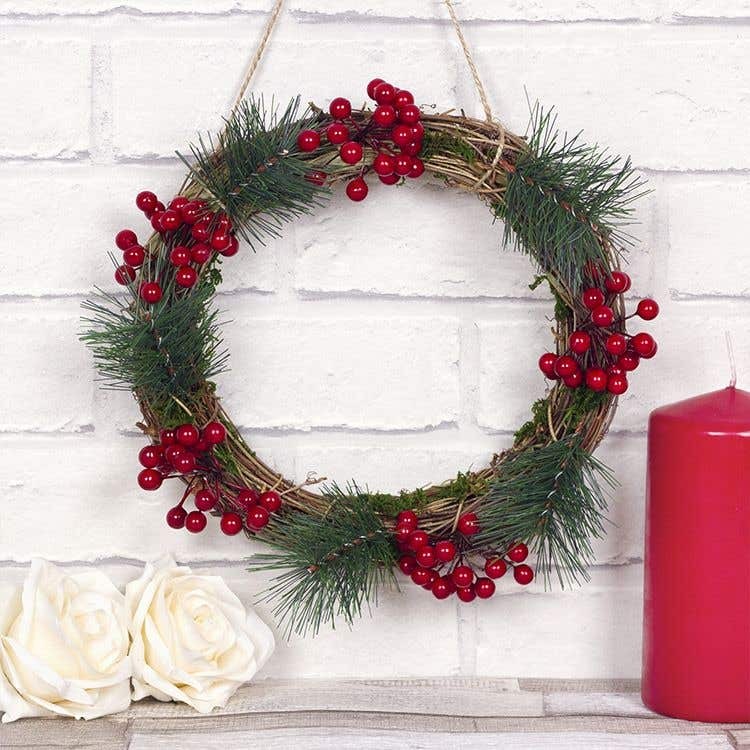 This natural Christmas wreath will look very festive hanging from your front door this winter. 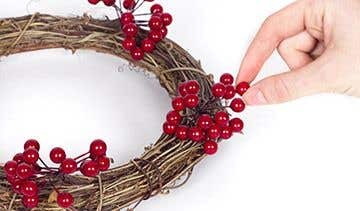 Take a group of berries and push the stalk into the wreath as far as it will go. Do this with four more sets of berries evenly spaced around the wreath. 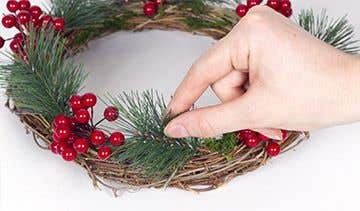 Attach five Christmas branches around the wreath, in between the berries, using the same technique. Take a small amount of natural moss and push it into any area of the wreath that looks blank. 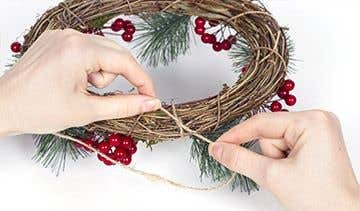 Cut a piece of twine and tie either end to the top of the wreath to create a loop that it can hang from. Tie the twine in a double knot to prevent the wreath from falling down.